You are here: Home � All Deals , Featured , Media: Books Movies Magazines MP3s , Savings: Freebies Coupons Giftcards � Get a total of 12 free Christmas songs with these two complimentary sampler packs. 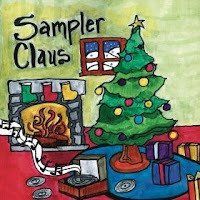 Get a total of 12 free Christmas songs with these two complimentary sampler packs. Amazon.com is offering two different sampler packs with a total of 12 free Christmas songs. One freebie sampler has 5 MP3s of classic Christmas music [ Free Classical Sampler - Classical Christmas ] . The other sampler pack has 7 more modern Christmas songs [ Sampler Claus - 7 Songs of Christmas ] sung by notable recording artists past and present.